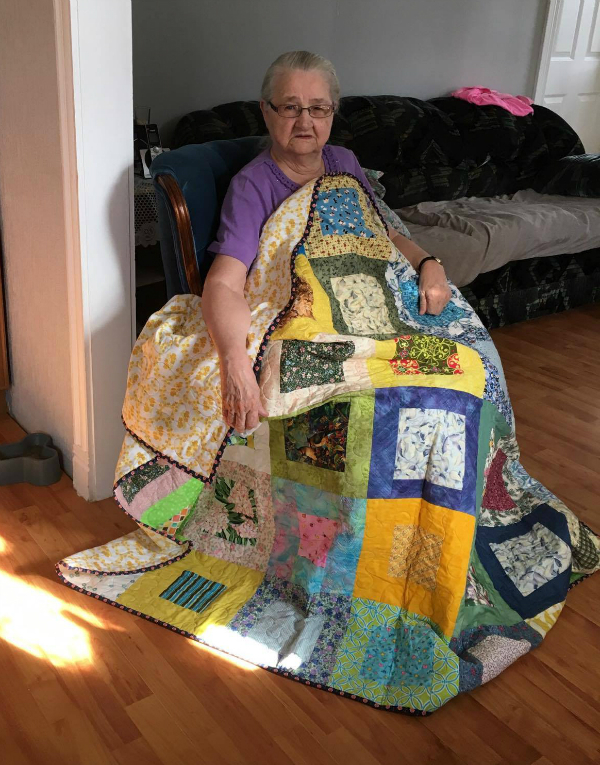 Devoted Quilter: More Quilt Delivery Pictures! 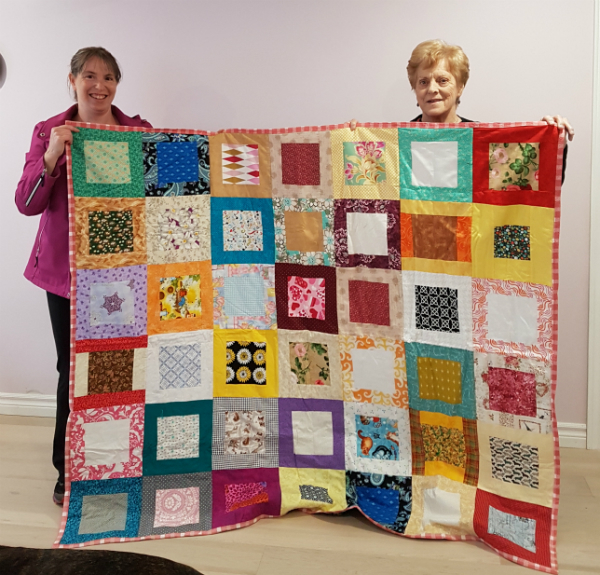 I've heard reports from various people connected to the residents about how much they love their quilts, which makes me so happy! It's fantastic to know that we have brought joy to others, isn't it? What a sweet story, Leanne. You have done a lot of work and brought much joy into people's lives. Thank you for coordinating such a large effort; I'm glad to have had a small part in contributing. 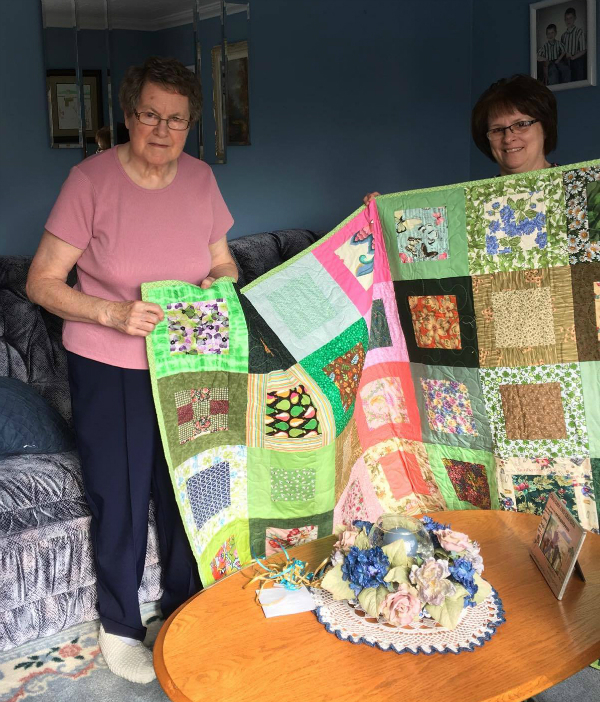 It is so wonderful that the quilt helped them create a connection and memory. You are an amazing person for putting this all together! Thanks for sharing the photos. 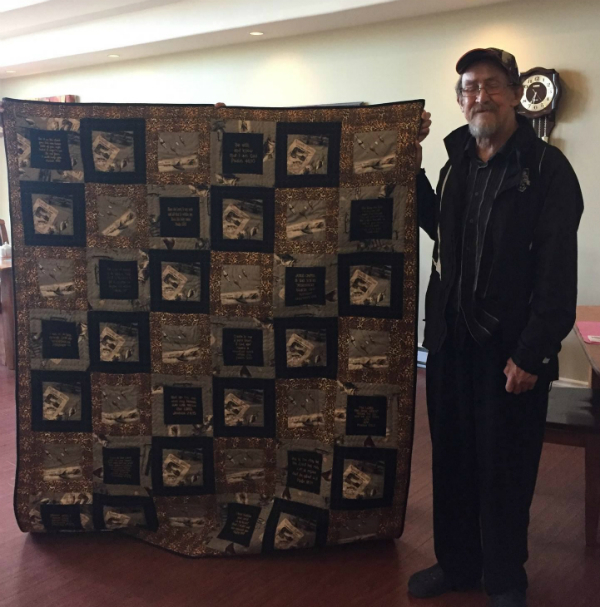 It makes it personal to see who received quilts. What a precious story. Thank you for all the work you did in organizing the project and then sewing/putting it all together. What a blessing for all involved. Such sweet stories. Quilts certainly bring comfort.